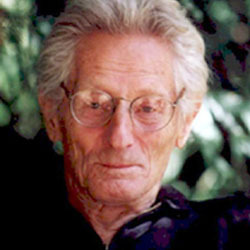 Blog Who is John C. Lilly? John Cunningham Lilly was a scientist who saw the many possibilities of isolation chambers. In his life, he extended research into isolation chambers to create the floatation tank. He later faced criticism and many viewed his research as flawed because of his drug use in combination with floatation tanks. Lilly was born in Minnesota in January of 1915. He took an interest in science at an early age and was encouraged to pursue it further by his family. He studied many fields including chemistry, physics, biology, neuroscience, and medicine. Lilly’s work in neurophysiology began in 1953, and he built the first floatation tank a year later. His research on the human brain fostered curiosity about the brains of other mammals. He began researching dolphins, trying to establish interspecies communication between them and humans. He went on to write several books and papers on this topic. In the 1960s, Lilly went on to join SETI – Search for Extraterrestrial Intelligence – an organization that used radio astronomy to detect intelligent life beyond our solar system. The 60s was also the decade when Lilly started experimenting with hallucinogenic drugs in an attempt to reach a new plane of consciousness. In some scientific circles, this badly damaged his credibility. The 1950s and 1960s brought a deluge of research on sensory deprivation. The isolation chambers used in experiments were typically dark rooms where participants were deprived of all sensory experiences. These experiments often had negative effects, causing people to become extremely anxious and even hallucinate. John Lilly created a tank wherein participants were provided with a breathing apparatus and completely submerged in water. This method was later transformed into what we recognize as a floatation tank today – a chamber in which people float on their backs in salt water. It wasn’t until the 1970s that Lilly began researching the use of float tanks for certain ailments. The results of these experiments demonstrated that floating was associated with lowering blood pressure, relieving muscle tension, and helping the creative flow. Floatation therapy thrived until the AIDS epidemic in the 1980s. People were concerned that they would contract the disease from contaminated water; as a result, floating dramatically decreased in popularity. However, as new information became available on both AIDS and floatation tanks, the clamor calmed. 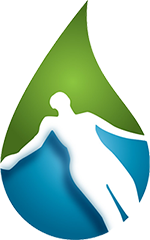 Since then, the popularity of floating has risen dramatically, especially in Europe and the western United States.